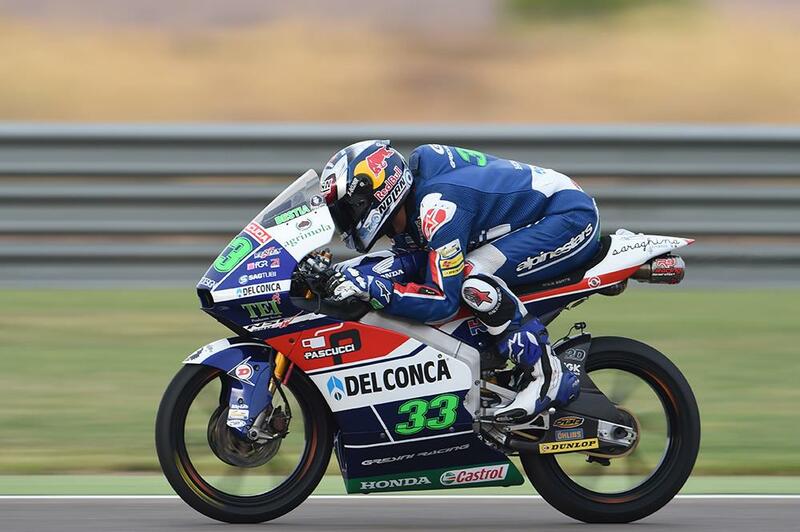 Enea Bastianini has taken advantage of a chaotic qualifying session at Motorland Aragon to secure pole position for tomorrow’s Moto3 race, while champion-elect Brad Binder struggled with traffic to only finish the session in seventh. 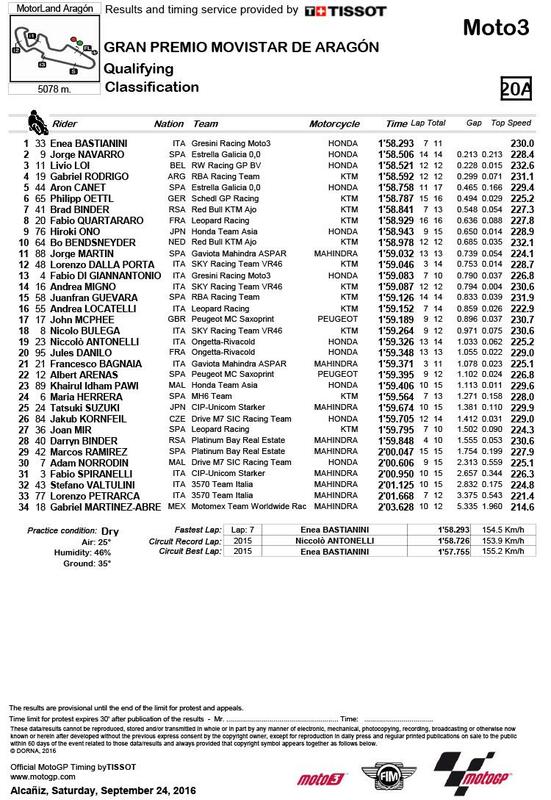 Binder, who just needs to finish within three points of Bastianini tomorrow to wrap up his title, was caught out by traffic forcing a mistake, running wide and losing his fast lap at the end of the session. Jorge Navarro and Livio Loi were second and third, but with a slew of penalties for cruising coming into effect the Belgian drops to sixth, promoting Binder to fifth ahead of him and the similarly penalised Gabriel Rodrigo, with only Philipp Oettl ahead of him on the second row, as Aron Canet moves onto the front row. It was a good day for Scotsman John McPhee, finishing 17th and the second of the Mahindras on the Peugeot-branded Saxoprint bike.